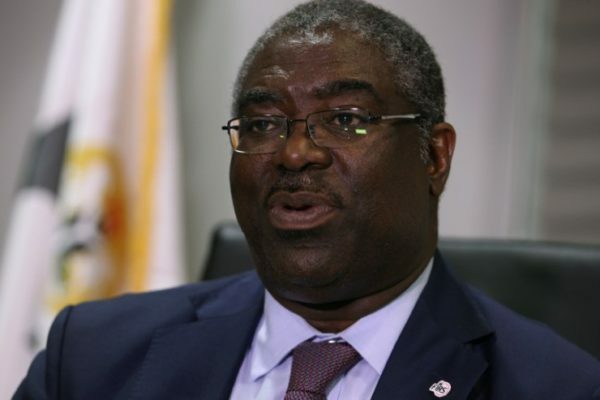 Nigeria’s Executive Chairman, Federal Inland Revenue Service, FIRS, Mr. Tunde Fowler, has been elected as 1st Vice Chairman of United Nations Committee of Experts on International Cooperation in Tax Matters. This was disclosed in a statement signed by Wahab Gbadamosi, Head of Communication and Servicom Department, FIRS. According to the statement, Mr. Eric Nil Yarboi Mensah, Chairman of Ghanaian Revenue Authority, GRA, emerged the 2nd Vice Chairman. The election took place yesterday in Geneva, Switzerland, where the global UN Committee of Tax Experts is holding its meeting. The committee is meeting for the first time after the appointment. UN Secretary-General, Antonio Guteress, announced the appointment of the 25 members in a United Nations Economic and Social Council notification dated 10 August 2017. The 25 tax experts were headhunted across the globe to sit on the Committee and proffer solutions to issues on international taxation and cooperation. Five out of the 25 new entrants into the prestigious Committee are Africans. They are Fowler, who is also the Chairman of African Tax Administrations Forum, ATAF; Elfrieda Stewart Tamba, Chairman of the Liberian Revenue Authority and Chairman of West African Tax Administrators Forum, WATAF; Margaret Moonga Chikuba, Chairman of the Zambian Revenue Authority. Others are Eric Nil Yarboi Mensah, Chairman of Ghanaian Revenue Authority and George Omondi Obell, Chairman of the Kenyan Revenue Authority. The appointment is in accordance with the United Nations resolution—the Economic and Social Council resolution 2004/69, which established that “only 25 tax experts selected from among all countries of the world are needed to join the Committee of Experts on International Cooperation in Tax Matters, within an interval of every four years”. Tax experts in the Committee also include Natalia Aristazabal Mora (Colombia), Abdoulfatah Moussa Arreh (Djibouti), Rajat Bansal (India), Mitsuhiro Honda (Japan); Cezary Krysiak (Poland), Eric Nil Yarboi Mensah (Ghana); Dang Ngoc Minh (Vietnam), Patricia Mongkhonvanit (Thailand); Marlene Patricia Nembhard-Parker (Jamaica) and Carmel Peters (New Zealand).